We have already made ready the contract and we also joined some points you’d asked to add to it. The lawyers change some points on the last page. Read the contract, please, and if there are no objections from your part we can pay for the first batch on Friday. 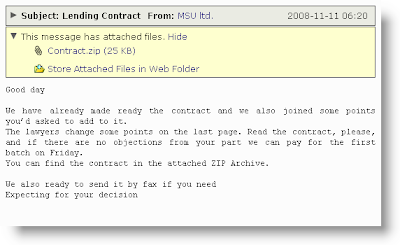 You can find the contract in the attached ZIP Archive.